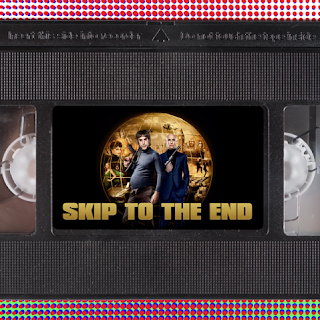 Episode 40 of the Skip To The End podcast is here! On this episode we review Grimsby (aka The Brothers Grimsby), the latest comedy from Sacha Baron Cohen. We discuss the greatest acting performances from people over 60, rewatch sci-fi masterpiece Robocop, and name the best movies of 1990. We also see who won our Oscars prediction pool, and give away our very own awards, The Skippies. As well as all this we take listener questions, give away a fantastic prize, and play our brand new game, Raging Bullseye.